Complement is involved in the inflammatory process and is prominently linked to SLE. The long history of clinical use of C3 and C4 for the clinical management of patients with lupus, the suboptimal utility of the assays and advances in our understanding of the complement system have led to investigation of Cell-Bound Complement Activation Products (CB-CAPs) as potential biomarkers for a lupus diagnosis. 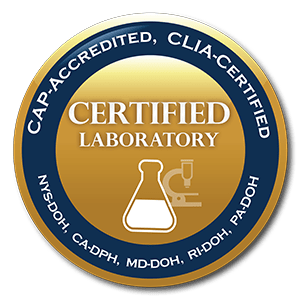 CB-CAPs were recognized as a potential source of lupus biomarkers for several reasons, one of which was the observation that soluble CAPs might be rapidly hydrolyzed in the circulation or absorbed by cells and/or tissues, making them short lived. C4d has been identified on surfaces of normal erythrocytes, T and B lymphocytes, and reticulocytes. In addition to potential as diagnostic biomarkers, the capacity of CAPs to bind covalently to cell surfaces suggested that CB-CAPs might be a fertile source of biomarkers for disease stratification based on the biology of distinct circulating cell types. Over the past 15 years, a series of investigations has demonstrated that patients with SLE have substantially higher levels of erythrocyte-bound, lymphocyte-bound, platelet-bound and reticulocyte-bound CAPs than healthy individuals or patients with other inflammatory, autoimmune and rheumatologic diseases. Because of this, the AVISE® Lupus and AVISE® CTD diagnostics were developed using CB-CAPs technology, specifically the EC4d and BC4d markers. CB-CAPs were recognized as a potential source of lupus biomarkers for several reasons, one of which was the observation that soluble CAPs might be rapidly hydrolyzed in the circulation or absorbed by cells and/or tissues, making them short lived. C4d has been identified on surfaces of normal erythrocytes, T and B lymphocytes, reticulocytes and platelets. In addition to potential as diagnostic biomarkers, the capacity of CAPs to bind covalently to cell surfaces suggested that CB-CAPs might be a fertile source of biomarkers for disease stratification based on the biology of distinct circulating cell types. Cell-Bound Complement Activation Products (CB-CAPs) are hydrolyzed complement activation products bound to circulating cells such as erythrocytes, platelets, B and T lymphocytes. Cell binding confers stability to these markers because they last for the life of the cells. There is also a correlation between the quantification of CB-CAPs and the degree of complement activation. These properties make CB-CAPs ideally suited as biomarkers of SLE. The diagnostic potential of CB-CAPs has been validated in clinical studies and published in peer reviewed journals. CB-CAPs technology is accepted and well received within the medical community. The practical application of CB-CAPs as it relates to an SLE diagnostic test was accepted by the American College of Rheumatology (ACR) and presented at the 2011- 2015 ACR scientific meetings. CB-CAPs technology was developed and pioneered by Drs. Manzi and Ahearn, who helped develop AVISE® diagnostic testing. 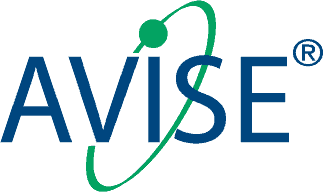 AVISE® CTD is the only diagnostic test that incorporates CB-CAPs assays, specifically EC4d and BC4d, in a diagnostic panel and is only available from Exagen Diagnostics. To learn more about CB-CAPs technology and view a selection of recent abstracts that our scientists and doctors have played a role in developing, please visit our Education & Resources library. Erythrocyte-bound C4d in combination with complement and autoantibody status for the monitoring of SLE. Cell-bound complement activation products in SLE. Ramsey-Goldman R, et al. Lupus Science and Medicine. 2017. Cell-bound complement activation products in systemic lupus erythematosus: comparison with anti-double-stranded DNA and standard complement measurements. Putterman C. et al. Lupus Science and Medicine. 2014. Systemic lupus erythematosus and primary fibromyalgia can be distinguished by testing for cell-bound complement activation products. Wallace D. et al. Lupus Science & Medicine. 2016. The AVISE Lupus Test and Cell-bound Complement Activation Products Aid the Diagnosis of Systemic Lupus Erythematosus. Mossell J. et al. The Open Rheumatology Journal. 2016.